Last week I spent the week in Washington DC at the National Conference for Independent Living Conference. During this week the conversation around DC was that surrounding healthcare and the negative changes that would happen to the disabled community. One of my peers, Eli Mills, the Executive Director of the Marin Center for Independent Living. 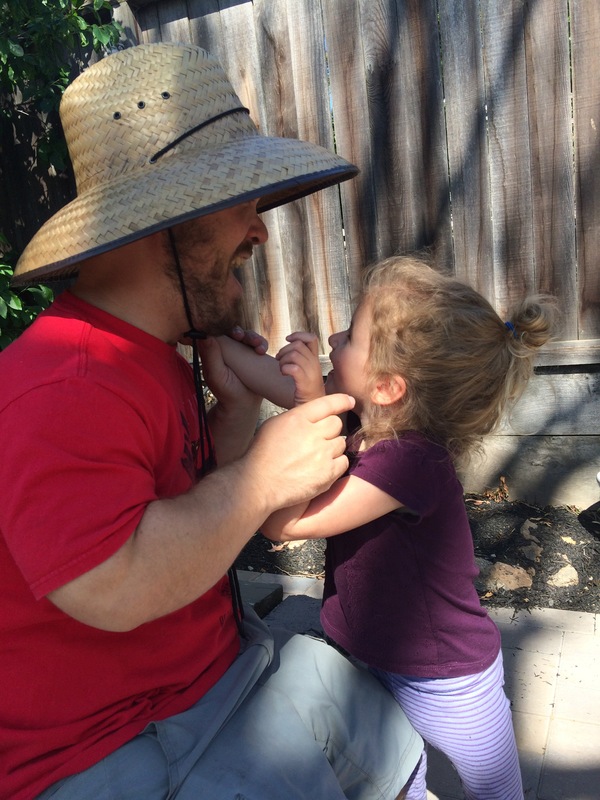 Recently he and his wife lost their 5 year old daughter suddenly of a severe seizure. Below is a blog he wrote to talk about his and his family’s story regarding healthcare and what it did to them, a family that had 2 working parents. Please read and share. This past Saturday was our Autism & Asperger’s support group’s 9 year anniversary. It was great getting to stop by and bring a cake to celebrate its success and longevity with Arman and his group. Arman has been the glue that has held this group together. His leadership and passion has been what has driven people to this group and kept them involved. It is his drive and caring for his community that makes this group such a success. My self, SCIL’s Board of Directors and staff want to wish Arman and the group a very happy 9th anniversary and we want to be there to support them for at least the next 9. May 15th 2017 marks the 9th Anniversary of Empower Autism Now, or as its members call it: The Group. Empower Autism Now is one of a handful of social groups for autistic and Asperger’s adults. Attendance averages around twenty participants each Saturday, and we meet in Claremont at Service Center for Independent Life (SCIL). We also hold group events on Tuesday evenings. For details on meeting times please visit meetup.com/empoweringautism. Autism is a disorder that first and foremost affects one’s ability to socialize and make friends. Also, certain behaviors are often associated with autism such as hand flapping, obsessive compulsive tendencies, and in some instances savant gifts such as having a photographic memory. Those are just a few traits that might display in an autistic individual. However, everyone on the autism spectrum is different, and no one person is impacted the same way. Everyone has an unique personality, and might not show the same characteristics as another autistic person. Nonetheless, making friends remains a challenge for most autistic individuals. Myself, I am also on the autism spectrum. I founded the group nine years ago, and have been running it since. Over the years, I have witnessed tremendous progress in many of the member’s lives. I have seen individuals’ self-confidence go way up, some members’ have learned to drive and got their licenses, others have obtained employment, and most important of all many people have found happiness through friendship. A lot of participants who come to the group are shy at first, but within a couple of weeks, they are friends with everyone. However, because we are such a diverse group, sometimes personalities clash, but in the end everyone gets along and accepts each other’s unique personalities. And, members keep coming back week after week. Some group members have been around since the beginning and continue to be regular participants. Overall, we have 30-40 regular members and over 500 autistic individuals have attended the group over the years. The group was not always this successful. I faced many obstacles along the way, especially in the first year. There was a stretch of five-weeks that winter where no one showed up. And, when people came there would usually be two or three people in attendance. Sometimes, we had a group with five attendees. It took me a while to figure out how to successfully run a group, and now almost ten years later, I am still figuring out ways to improve the group. There’s still a lot for me to learn, and lots of opportunities for the group to grow and evolve. Currently, what I am finding works the best is having a place where anyone can come and just be who they are without fear of judgment. I think that’s what makes my group so successful today. People learn to be themselves. They aren’t afraid to show their real personalities. Also, we have a lot of fun social activities. Our group does a lot of role playing scenarios, or other social games. We also once-a-month have a movie club, a video game club, a board game club, and sometimes we do karaoke or go bowling. We also sometimes teach important life skills. For instance we had a field trip to the train station where I taught people had to ride the train and later that same day, we took the bus and learned how to use it. We’ve also had a class on financial investments, interview skills, and resume building to just name a few other lessons I’ve taught. So, why did I start the group? Honestly, I don’t have a profound answer. The idea didn’t hit me out of the blue. I did not suddenly have a spark of inspiration. Instead, a pastor at a church I used to attend asked me what I did, and somewhere along the conversation I told the pastor about me being on the autism spectrum and having recently started a YouTube channel where I discuss autism. The pastor asked if I would be interested in starting an autism group, and I said “sure, why not.” Actually, I can’t remember what my exact words were, but I agreed to start the group nonetheless. At the time, I did not know what to expect. I had no idea that almost ten years later that I would still be running the group. And, in those early days when sometimes no one showed up at all, I thought about quitting. But, I am glad I did not. Over the years, I have found great enjoyment running the group, and I have made many great friends, and I feel I have created a community for people who otherwise would have nowhere else to go. I am proud of what I have accomplished, and I welcome you to come to my group someday to check it out, and who knows, maybe you will join our growing family. Before I go, I would like to thank several group members who have made tremendous contributions that have helped me immensely. Without you guys, thee would be no group. Thank you Christopher, Lindsey, Jessica, Wang, Veronica, Corina, Aaron, Jake, Raymond, Jeremy, and all the other members. Everything you have done for the group is more than appreciated. I can’t thank you guys enough. 2016 was a year of upgrading and getting ready for the future. 2017 is going to be the future!!!!! Let’s first look back at 2016. All Independent Living Centers in California were blessed with a special grant that allowed us to upgrade our technology, provide capacity building, and allow for educational opportunities for our staff. We took full advantage of this grant by upgrading all of our technology, purchasing AT demonstration equipment and sending our staff to trainings and seminars. Our Systems Change Advocacy group went to LA to testify on the need for self-driving cars at the Google hearing. As we moved into February we started preparing for some of our staff to go to Sacramento for training by the University of Montana. This was a certification program to become Coleman Transition Intervention facilitators. Three of us did go through this training and are now certified by the University. We are currently working with one of our local hospitals to form a partnership to offer their patients our assistance in decreasing their readmission to the hospital. Next we ramped up our Get out the Vote campaign. Ted Jackson came out and did some formal training for our Systems Change Advocacy team. Angela and Jeanette organized a nice team to continue working on this project leading up to November’s election. In March we were able to send all our female employees to the Claremont Chamber Women’s Symposium. They all bonded for the day and Jeanette won one of the drawings. At the end of March, Angela took a leave of absence to go and get her knee replaced. The surgery went well but unfortunately during post-surgery Angela had a stroke. This was a major setback and the road to recovery still continues to this day. We were able to help her with some of the equipment that we had to make the transition back to her home easier and more comfortable. We can’t wait to get her back!!!! Our next big focus was our Inaugural Disability Athletics Faire. On April 2nd we brought over 300 volunteers, family members and athletes together at Mt. San Antonio College. It was a beautiful sunny Southern Californian day and all that attended had a wonderful experience. We want to thank all the partners that helped us to put this event together. I also want to thank the planning committee that spent many hours planning for this event. Can’t wait for April 8th 2017!!!!! Towards the end of April we hosted a joint board training at the Doubletree Hotel in Claremont. We were joined by the boards of SCRS and CAC, two other Independent Living Centers that we share territorial borders with. It was great getting together with the other boards and Executive Directors to discuss how we can better serve our consumers and how to partner better. In May we sent five people through the Living Well with a Disability training course. Since then we have completed our first class with 8 graduates. Way to go team!!!!! We are now getting ready to start our next class on January 19th at 12:30pm. Please let us know if you would like to be part of this class. The rest of the summer was spent gearing up our newly established lending library/reuse center. Our staff participated in a two day conference in Sacramento on reuse and brought back valuable information in helping us set up our center. I also got the opportunity to go to Washington DC for the NICL conference and participate in the March on the Capital. This was definitely the highlight of the trip, marching with several hundred people to the US Capital building. While there I also spent time with the entire California delegation (pictured below). At the end of August three of us went up to Sacramento to participate in an IL conference to discuss alternative funding sources. I was asked to present on our Talking Fingers/Cards with a Special Touch program. After my presentation one of the centers from Sacramento came up and placed an order to start selling our cards at their center. Our Cards with a Special Touch were once again featured at our Village Venture booth and once again did well. During 2017 Anne Marie and I will be ramping up our efforts to market these cards. In October two of us went to Reno to participate in a conference that centered on youth transition. As this is one of our newest mandates it was great getting to hear what other centers are doing around the country to meet this mandate without any new funding. We came back with ideas that we are going to start working on this year. We were lucky enough to be selected by the Last Drop Café in Claremont to be part of Giving Tuesday. Thanks to them and various other contributors we were able to raise over $2000 for the day. Thank you to all who participated. And we closed the year out with our yearly holiday opportunity drawing. Two of our centers friends are each ending the year with two Disneyland Park Hopper tickets; Congratulations!!!! As you see 2016 was a busy, productive and successful year. We could not have accomplished what we have without our strong staff!!! I just want to thank all of you for all you do every day, you make a difference in the lives of those that visit us every day. I want to wrap this up by saying I began by saying that 2017 is the future. The future is here, the future is now, let’s grab the bull by its horns and charge!!!!! We have reached the end of 2015 and SCIL has had some great achievements this past year. Our Talking Fingers program (Braille Department) is going strong and has added a new line, “Cards with a Special Touch” which combines tactile brailling technology and creative graphics to create greeting cards for the sighted as well as the blind and visually impaired. We have restarted our Advocacy group. SCIL continues to host the monthly National Federation of the Blind Inland Empire Chapter meetings and have partnered with them to put on a resource fair this past year. SCIL along with Mt SAC have been working together to put on next year’s Disability Athletics Faire. Last, but not least, the achievement that I am the most proud of; we have now become a California Center of Excellence. SCIL is now a training site for the Los Angeles County Workforce Investment Board. What that means is we have the opportunity to help train people that are trying to reenter the workforce. During this 8 month program the participants receive wages through LA County. We have had the privilege to have 8 participants train here at SCIL so far and had the opportunity to employ 2 of these participants, Brenda Marin and Gina Hernandez, once their training period ended. We also assisted another participant, Kim Augmon, with getting hired at another Independent Living Center. Currently we have four more participants training here at SCIL. I have appreciated all involved in this program and look forward to continuing this partnership. Our Talking Fingers program is doing great. We are currently producing documents nationally for 3 different healthcare companies while also working with several other organizations to produce their documents in braille as well. SCIL is also now in the greeting card business. Our “Cards with a Special Touch” line now has 45 different cards in production. We are currently in 3 retail stores and are available on 3 different websites. If you are interested, please visit our SCIL website @ scil-ilc.org, on the top you will find a tab for Talking Fingers and that will lead you to our cards. I want to thank Ann Marie Sullivan, our chair elect to our board of directors with coming up with the idea to start this program and working with our staff to come up with the cards that we have produced. I also want to thank Gina, Heidi, Jennifer and Andrew for all their hard work. SCIL was invited to participate in a program with the University of Montana that helps people with Developmental Disabilities to be able to deal with relationships. This program was originally assigned to Francesca Ponce DeLeon and Arman Khodaei. Fran was responsible for doing the initial interviews with most of the participants, however, unfortunately she was in a car accident and has been off work for the last 2 months and has not been able to participate in any of the classes. Arman has been involved with this program since the beginning and has now taken the lead role in the classes. Due to her absence I have assigned Janice Ornelas and April Duran to work with this program. I want to thank all involved with this program and look forward to making this a permanent class here at SCIL. Our two System Change Advocates, Angela Nwokike and Jeanette Heitmann, have restarted our SCIL Advocacy Group. They have had their first meeting already and have also started meeting with some of our local elected to educate them on the needs of our community. We look forward to next year and the growth of this group. We just got done hosting a resource fair here at SCIL. We partnered with the NFB and had 20 + vendors come and display their goods. I appreciate the partnership with NFB and look forward to hosting this again next year. Our plans are to make it bigger and better next year. Thanks Cheryl, Trena and Chelsea for their hard work pulling this off. April 2nd 2016 will be our inaugural Disability Athletics Faire. We are in a partnership with Mt SAC to put this on. We also have the participation of Molina Healthcare and Care 1st in helping us by sponsoring this event. Our goal is to have at least 300 participants at this event for the first year. SCIL is bringing in Allison Palmer to head this effort. I look forward to working with her to make this the best Disability Faire that we could possibly put on. I want to also thank Grace Hansen and staff at Mt SAC for her belief in this event and her participation in the planning of this event. If you are interested in this event please go to the website, disabilityathleticsfair.scil-ilc.org, to get more information or to register as a sponsor or participant. 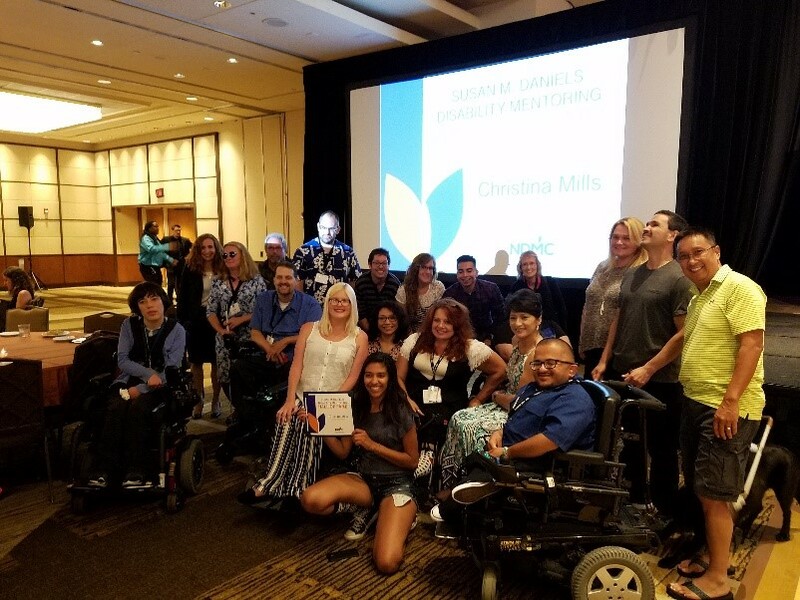 SCIL was just awarded with the ranking of Center of Excellence by the California Foundation for Independent Living. To achieve this ranking we had two evaluators come in and go through our center and make sure that we were doing things correctly. This included our financials, programs, and policies and procedures. After a two day process they came back with a couple of small things we could do to make us a little better and after quickly completing these tasks we were given the rank of Center of Excellence. I am extremely proud to have the staff that we have; all have excelled this year. I also want to thank our Board of Directors because without their support none of this would have happened. I personally want to thank Bruce Jacobson who has been our board chair for the last two years. Unfortunately he will be leaving the board as a voting member at the end of the year. He has agreed to stay on as an Associate Board member which means he can do everything other than vote. Thanks for all your hard work for the last two years. I am excited for 2016. Anne Marie Sullivan will become our new board chair and I look forward to working with her to take SCIL to new places next year. If you are interested in becoming involved with SCIL there are several ways to do this. First there are several volunteer opportunities available. For example, with the Disability Athletics Faire coming up next year we will need a lot of help. Second, you can make a financial donation. 100% of all donations help our consumers by supporting our programs. A third way is to choose to sponsor one of our programs or events. We appreciate all the help that we get from our partners. Thank you for all and Happy Holidays!!!!! As the 25th anniversary of the Americans with Disabilities Act (ADA), ACL is featuring guest blogs from leaders in the disability community. For decades, the National Institute on Disability, Independent Living, and Rehabilitation Research has funded the ADA National Network, a consortium of 10 regional organizations dedicated to the successful implementation of the ADA. In this blog post, Robin Jones of the Great Lakes ADA Center reflects on the progress made since the ADA’s passage, and the work yet to be done to ensure full inclusion of individuals with disabilities. These are just a few of the questions that ADA National Network members (formerly known as Disability and Business Technical Assistance Centers) respond to on a daily basis. No question is a bad question. They only serve as reminders of the need for awareness and education that still exists in our local communities. The 25th anniversary of the ADA is a time for reflection and celebration. It is also a time to look back at the strategies that have (and have not) worked to promote compliance with the ADA and consider the work that lies ahead. People with disabilities continue to face many barriers to full community integration. The barrier may be a building that is not physically accessible or it may be an attitude or expectation. Despite the availability of training and technical assistance for HR managers, recruiters, and supervisors, the unemployment rate of persons with disabilities remains largely unchanged from 25 years ago. The development and utilization of new technologies are presenting opportunities for increased participation by persons with disabilities in their communities and the workplace. Yet developers of such technologies often ignore the needs of people who use assistive technologies during the development phase and thus, accessibility becomes an afterthought or an “add on” component. Providing technical assistance, consultations, and training is not enough to achieve the types of changes in attitude and knowledge necessary to realize the full promise of the ADA. It takes a combination of strategies and approaches. This can include getting information into the hands of the people who need it, when they need it via face-to-face contact, telephone, email, social media, mobile apps, web based resources, distance learning, and regional and national conferences. It also involves creating positive relationships and gaining the trust and respect of local decision makers, business organizations, service providers, educational entities, disability advocates, and others as they can come together to pinpoint unmet needs and map out solutions. Members of the ADA National Network have been at the forefront of providing guidance and helping their communities move in the right direction. An architect was able to avoid a costly mistake by using the ADA Network as a resource for verifying a required technical element in their design. A small business owner averted potential litigation after consulting with the ADA Network about specific accommodations for a new employee. A college student was able to complete her degree requirements after becoming more educated about her rights and empowered to advocate for an accommodation in the classroom. A business owner reports an increase in their customer base after attending training and learning more about low cost solutions, such as decluttering aisles, to increase access to their goods and services. A state agency that received guidance from the ADA Network to help them develop a more inclusive policy. A park district turned to the ADA Network for information that helped ensure that their procurement contract for a new website included accessibility guidelines and standards. As we take time to celebrate the historic steps taken to grant equal rights and opportunities for persons with disabilities, it is important to note that our work is not done. We can embrace the opportunity afforded by this moment to remind society about the importance of civil rights for all and challenge our policymakers, business owners, employers, educators, designers, service providers, and the general public to do more. Members of the ADA Network are proud of the role that we have played toward advancing the rights of persons with disabilities. We embrace the opportunity to witness what the next 25 years will bring. As the nation celebrates the 25th anniversary of the Americans with Disabilities Act (ADA) this week, ACL continues our guest blog series with blogs from leaders in the disability community. In this piece, Curt Decker, who leads the National Disability Right Network, describes the history of the protection and advocacy network and why these programs are so critical to ensuring the safety and independence of people with disabilities. That’s how Senator Robert Kennedy described Willowbrook, a state institution for people with developmental disabilities on Staten Island, in 1965. Seven years later, Geraldo Rivera, then a young investigative reporter with ABC News in New York City, smuggled cameras into Willowbrook.For the first time, Americans were able to see the filthy, squalid conditions in which children and adults with developmental disabilities were forced to live receiving very little services and supports. These broadcasts galvanized the state’s senior senator, Jacob Javits, to action and the Protection and Advocacy (P&A) network was born. The initial focus of the network was to safeguard the well-being of individuals living in institutions like Willowbrook nationwide. Today, P&As continue to monitor, investigate and attempt to remedy abuse and neglect in all facilities that care for people with disabilities. But over the years, Congress has broadened the work of the P&As. P&A agencies now have the authority to provide legal representation and other advocacy services to all people with disabilities wherever they reside on a range of issues. P&As devote considerable resources to ensuring full access to inclusive educational programs, entitlements, healthcare, accessible housing, transportation, voting and competitive, integrated employment opportunities. P&As also help people with disabilities find living arrangements in their communities; indeed, the P&As have been at the forefront of the de-institutionalization movement. Earlier this year, the Disability Rights Center (DRC) , a P&A agency in New Hampshire, was the driving force behind the closing of Lakeview Neurorehabilitation Center, an 88-bed residential facility with a history of complaints about abuse, neglect, and substandard treatment. Lakeview’s closure provided an opportunity for individuals living in isolation there to move to smaller community-based settings more suited to their needs and nearer to their families and loved ones. Not all P&A cases focus on facilities where there is evidence of abuse though. In fact, the bulk of P&A work is direct, one-on-one involvement with individuals seeking help securing their rights. The National Disability Rights Network (NDRN), the national membership association for the P&A network, recently honored South Dakota Advocacy Services for one such case. SD Advocacy Services provided assistance to Skyler S., a high school student with a disability in contact with the juvenile justice system. Skyler’s guardian contacted the P&A over concerns about her treatment and access to education. Not only did SD Advocacy Services help facilitate her re-entry back into the community, they ensured she had the proper support and services in place to thrive. In June, Skyler graduated from high school. Each year P&As successfully advocate for thousands of people like Skyler and the residents of Lakeview, ensuring that our nation never returns to the dark days when places like Willowbrook existed. Let’s continue in that mission by building a society where people with disabilities have equality of opportunity and are able to participate fully in community life. “Generation ADA: Rise Up!” is the theme of this year’s annual National Council on Independent Living (NCIL) Conference in Washington, DC. The conference begins on the date of 25th anniversary of the Americans with Disabilities Act, this Sunday, July 26th and will continue until Friday, July 31, 2015. YO! Disabled and Proud is excited about the conference for many reasons. Long time YO! Member and former YO! Volunteer, Allie Cannington, who did her service at Marin Center for Independent Living, has been working hard to make this year’s NCIL Conference fun and engaging for the many youth with disabilities who will be attending. For nearly a year, Allie has been serving as NCIL’s Youth Transition Fellow and has spent countless hours assisting with the planning of the “Generation ADA” Conference. Allie has worked closely with the NCIL Youth Caucus, who has also been dedicated to making this year’s conference a memorable one for all youth in attendance. The Youth Caucus is chaired by former YO! Disabled & Proud Youth Advisory Council Member, Maddy Ruvolo. Maddy is the Systems Change Advocate for the Marin Center for Independent Living and is known as a youth leader in the Independent Living and Disability Rights Movement. For several months the Youth Caucus has been working on a fundraising campaign for youth. They started a #ADAYouthPledge campaign to mobilize as many #GenreationADA youth to the national conference. Several Independent Living Centers in California contributed to the campaign, and as a result of their hard work, YO! 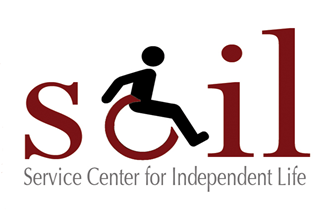 Disabled & Proud and the NCIL Youth Scholarship Fund are supporting two YO! Volunteer Corps members in attending this year’s “Generation ADA: Rise Up!” NCIL Conference. YO! Volunteer, Jessica Jimenez, from the Independent Living Center in Claremont, California, Service Center for Independent and Life, and YO! Volunteer, Tangikina Moimoi from the Independent Living Center in Long Beach California, Disability Resource Center are both looking forward to traveling to the annual NCIL Conference and connecting with other youth with disabilities around the country who are also passionate about the Disability Rights Movement. Both young women will take part in a number of historical Americans with Disabilities Act 25th Anniversary events while in Washington, DC. They are honored and excited to be representing YO! Disabled and Proud in this unique capacity. Well we made it through the move!!!! This month I want to use this blog to thank everyone that made our move so successful with virtually no down time. I will start by thanking the most important people, my staff and volunteers, they have been great, everyone has been chipping in where they saw it was needed and this is continuing today. Everyone went right to work setting up their offices and making sure they were comfortable and inviting. When they felt settled into their offices, everyone participated in doing the same in all open areas, including the training rooms, break rooms and yes, even the new bathrooms. Jeremy, Angel, Breeonna, George, Hakeem and Justin, you guys are the best. These are our volunteers that have been here through the move. They have been our unpackers, janitors, filers, movers and whatever else we needed them to do. They have done all this with no complaints (except for our Jermey, and we wouldn’t know it was Jermey if he didn’t grumble some). Once again I want to thank them all from the bottom of my heart for the work that has been done and for the continued work that will help to make this place a “Center of Excellence” (I will talk about that in a minute). I want to thank TRICOM Communications for their hard work making our IT move flawless!!!! I want to thank Chris and Jason for their devotion to our center and for their hard work the week prior to the move, setting everything up so that the Monday we were in all they needed to do was plug things in and we were up and running. I want to thank Chris for putting up with me during this time of ranting and raving about faceplates and wires. A big thank as well for putting up with my weekend calls of me wondering when certain things would be done. I apologize to your family for taking their Dad away from them during this move. I want all of you that read this to know if you ever need an IT company to address any issues you may have, these are the guys!!!! Please call me if you need their contact info. Efrem with Cal Comm, I want to thank you also. Efrem is our phone guy and he was there to tear things down at our West Covina office and to add all the new phones at our Claremont office. I want to thank you for being my parts runner and for picking up the parts you had me order. I know you were going through difficult times and I want to thank you for that. I want to thank you for also putting up with my “where are you calls”; I know I can be a pain. He is another vendor I would give my recommendation for if you need a good phone guy that specializes in Toshiba phone systems. The movers did an awesome job on the Saturday of the move. I met them in West Covina at 9:30 AM and after walking the facility they said we wouldn’t be done with the entire move until around 5 PM. Well, as I said they were great and the move was done around 2 PM. They did this without one piece of equipment or furniture having any damage. Big Bear Movers get a big A+ from me. I want to thank Jan (the new Executive Director) at Rolling Start for her donation of boxes and packing supplies for the move. We appreciate the partnership and look forward to more as we move forward. Enough with the move I want to share some more exciting news with you. SCIL has been invited by the University of Montana to participate in a The Safety Project. Only 12 Independent Living Centers (ILC) in the United States were invited to be part of this study. We are very pleased and honored to be selected as one of the 12. This project works with ILC’s to train 2 facilitators to teach a class in safety to a select group of consumers that have Intellectual Disabilities. We will select up to 16 consumers to be part of this project. The consumers that are selected will receive a small stipend from the University for their participation. Francesca Ponce De Leon, one of our Independent Living Specialists and Arman Khodaei, our volunteer that leads all of the Autism Spectrum Groups that are hosted at SCIL, will be the facilitators of these classes. I want to thank both of them for volunteering to do this. We are looking forward to see how this goes. Following the move on the first Tuesday afternoon we held our first Adaptive Yoga class. I want to thank Mary Berger, a volunteer from the University of Great Falls for organizing and leading this class. We have a few consumers that are already becoming “regulars” to the class. We only have Mary for about another month so we are actively looking for someone to step up and take on this class as the facilitator. Thanks Mary for all you have done for us, we will miss you when you go back to school. On July 20th and 21st we are having a peer review of our center that is offered through CFILC, our state organization. This review is performed by Executive Directors from other Independent Living Centers in California. This review is an extensive review of Policies and Procedures for everything from programs to employee practices to the Board of Directors. This two day review, if we pass, will result in us becoming a “Center of Excellence”. Please wish us luck as we go through this process. So, as you can see things are moving forward at a rapid pace and we are not going to slow down. Please come by and get a tour of our upgraded facility and take advantage of all that we have to offer. We are here for you!!!! “Thank you Richard for writing to the senator about what has become a subtle “death spiral” for Independent Living, freedom and self-determination for people with disabilities by the erosion of the services needed to keep that promise. As a young person, I was discharged, by my rehabilitation doctor to a university with an attendant and enough SSI. I went on to get a Masters degree and become a news and public affairs producer for public television, later a comedian, and now a therapist. This is the future newly injured people deserve today as well. But people, who are single, don’t get that chance; because of the amount of SSI/SSP, which discriminates against them when they are given too little to afford to rent an apartment, eat food and other necessities of life. We want to help transition our brothers and sisters out of the nursing homes they’ve been forced into, because of decades of the state taking away their cost-of-living allowances to SSI, and making SSI/SSP the “go to” place when it came to making even larger budget cuts when revenues were slim. To see the degradation of the services and the betrayal of the promise of the sufficiency of these services to give people community living, one only has to look at the chart at the end of this letter, to see the ratio of SSI to the true cost of an apartment in the housing markets of California. And yes, Richard, I heard about that time in California when senators like Milton Marks created a Subcommittee for Persons with Disabilities, so the legislature could be ever mindful of how we were faring—whatever happened to it? In California, we were the shining example of civil rights and self-determination for people with disabilities, because we had enough SSI SSP and a lean and elegantly simple model of IHSS services. We received a check to pay the person of our choice to help us do what we could not do for ourselves: get out of bed in the morning, help us do the toileting, dressing, cooking, and cleaning. It gave us freedom and it gave jobs to all kinds of people. Because of IHSS services and sufficient living stipends, we went on to get advanced degrees–like Ed Roberts who was a ventilator dependent quadriplegic. He became the symbol for the Independent Living movement. He was appointed by this Governor in 1976 (who apparently has a short memory) to become Director of the Department of Rehabilitation and Co-Founder of the World Institute on Disability. Many of us went on to lives of productivity and to become leaders in the community because we had enough SSI and IHSS. Now newly injured people, instead of going on to college, or their own apartment in the community are going directly into skilled nursing facilities, which are often little more than warehouses for death — resulting in shortened lives and aborted futures. In the last year, we have seen petitions from people with disabilities asking for help to keep them from going to nursing homes, saying, they would rather die than lose their freedom to live in the community. But because budgets were being cut and these people were not a priority, they faced nursing homes that not only cost the state more economically, but are incalculably more expensive in human terms. History will look down on the long descent to this place where people with disabilities in California have been permitted to fall. As more powerful forces are dominating the conversation in Sacramento, it has been a long gradual “death spiral” that brought us to this point. Our only hope is that the consciences of good people can be awakened by us, before Independent Living is permitted to die a quiet death. We must reach out and try to awaken those who could prevent us losing our Civil Rights and becoming pawns in the business plans of those who would reshape long-term care. We need to make them see how important it is economically and morally to give us enough resources to retain our civil rights to live in freedom and independence in the community. And we must let them know that self-determination and justice dictates that we have an instrumental voice in any changes to those long term services and supports. In-Home Supportive Services and SSI/SSP were intended to be sufficient to keep people with disabilities out of nursing homes. Those to whom this promise has been betrayed are not heard from in Sacramento. They have gone to nursing homes where they don’t have computers and cannot afford to pay for the internet service. Those of us still living independently must be their voices. Independent living is a glorious thing. We can’t let it die, on the 25th anniversary of the Americans with Disabilities Act. Our brothers and sisters should not be locked away in institutions because the state is not giving them the Health and Human Services to live on in their communities. We must also protect the future for those who will become disabled and deserve to return to the community to have the liberty that all Americans enjoy. This year the legislature voted to increase by only $10, the wholly inadequate $898 a month that few in the state can live, and now it seems even this $10 a month has been deleted from the budget in conference committee. It must not stay that way. Let’s tell our legislators and this Governor that our backs . “are not bent,” that we vote, that we are watching. And let’s tell them that we will not stand idly by, nor will we keep quiet while our brothers and sisters are quietly incarcerated in institutions. We will not let anyone extinguish the liberty of those people with disabilities who are beginning their lives, and those who later in their lives who should be vigorous in living out the missions they were intended to fulfill in this world! Your sister, in struggle to preserve Independent Living on this 25th anniversary of the Americans with Disabilities Act. As we rapidly approach the date of the move/expansion, I am realizing that with this comes more and more opportunity. The fact that we will still have office hours every Tuesday and Thursday in West Covina caters to the needs of our consumers that are unable to make it to the Claremont office. The new West Covina office is located at the offices of the San Gabriel Valley Homeless Consortium at 1760 W Cameron Suite 103. This is four buildings north from where we currently are. I want to thank Todd Palmquest, the Executive Director of the Consortium for assisting us with this opportunity and we look forward to our partnership in the future. The peer counseling groups that have met in West Covina are also moving to this new location and we will still be attending and hosting. We also will be represented at the community events on the east side of our catchment area. In Claremont, our computer lab will expand, allowing us the ability to add more computer training classes in the near future. Our front room, which is now our reception/computer lab/training room, will now be designated exclusively for trainings and the computer lab. We will also have expanded opportunities to have classes in Independent Living Skills and more. On June 30th we will begin a new series of training opportunities; our first being an adaptive physical education class. At 2pm Tuesdays and Thursdays, starting June 30th, we will begin our Adaptive Yoga with Mary series. This class is designed to accommodate anyone with any disability. Mary will work with each participant to gear the class to each of their personal levels. We hope you can join us as we all start to get more physically and mentally fit. The Parents Place peer counseling group that has been held twice a month and facilitated by Francesca Ponce de Leon will be coming to an end. However, we have decided to continue the group supported by SCIL instead of Parents Place. We do want to thank Parents Place for their partnership. Our fee for service program, Talking Fingers, is expanding again; thanks to the driving force of the Vice Chair of our Board of Directors, Ann Marie Sullivan, combined with the expertise of Gina Hernandez and Chelsea Pearson, with additional help from our intern Catherine Berger (her daughter is the lead on our Yoga program), we have begun a new arm of our Talking Fingers program, Cards at your Fingertips. Cards at your Fingertips combines tactile brailling technology and creative graphics to create greeting cards for the sighted as well as the blind and visually impaired. We will kick off the sales of these cards at this year’s National Federation of the Blind Conference in Orlando, Florida. We currently have seven different cards in production. As you can see there are a lot of things happening here at SCIL. In July we are having a group come in from CFILC to do a Peer Review. If we pass this review we will become a Center of Excellence. I am looking forward to this process as I know with our wonderful staff we will pass with flying colors!!!! Stay tuned as we are looking to have an Open House/ADA 25th Anniversary Party sometime soon and we hope you can come and see what we are up to. At the end of June the lease for our West Covina office expires. It has been the decision of SCIL’s Board of Directors and I to not renew the lease. When this decision was made a few months ago I was tasked to come up with a few options for the future of that office. My first thought was to find a new location and relocate the office, so I set out to see what was available in the area that would work within our budget. Working with our real estate agent the options were limited. We did look at one property in Covina and kept that as an option, the only problem I had with this location was that it was smaller than our current location. About a week into my search the property owner from the Claremont office came by to see me. He informed me that our neighbor was getting ready to relocate and he wanted to give us first option on the space he currently leases. This would increase our space by 3200 sq. feet. So you know currently we lease approx. 2000 sq. feet in West Covina and 2000 sq. feet in Claremont so this would increase our footprint by 1200 sq. feet. What this would allow for would be to bring everyone under one roof and to also dedicate an area to our “Talking Fingers” program. So I went back to the board with two different options, one to keep two offices open the second to bring everything under one roof. 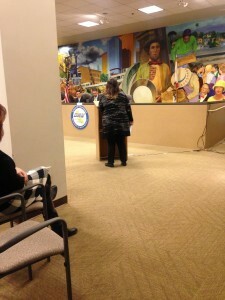 I also presented the idea that I try to find office space so we can still have office hours in the West Covina area. After a lot of deliberation it was decided that we would move the whole operation to Claremont with the condition that I find an office to use for part time office hours in the east side of our catchment area. So here we are in the middle of April; I have been able to negotiate a lease with the owner of our property that is advantageous to both of us. I have also located an office that is less than a quarter mile from our current location that will serve as our satellite location. My plans are for it to be staffed twice a week for 8 hours/day. I am thinking that this will be Tuesdays and Thursdays from 8:00am – 4:30pm. This will be open for appointments or walk-ins on a first come first served basis. This office will be staffed with a minimum of 1 staff member during business hours. The reason for this letter is twofold, first was to give you some background on what is going on and why these things are happening. Second is to address some of the questions and concerns from our staff and consumers. Last night at our monthly Board of Directors meeting, Francesca Ponce De Leon, one of our Independent Living Specialists from the West Covina office, attended the meeting and requested to speak during public comments. I want you to believe me that I truly understand that closing the West Covina office is a concern to all that use that office. I have been told that some of our consumers feel that we are abandoning them. There is nothing further from the truth. I know that it doesn’t seem like it today but this will actually benefit all of our consumers, all of our staff and all of our partners. I understand that not everyone will be able to get to our Claremont location and this is why we will be having our satellite office right down the street from where we are today. Our location in Claremont is located next to the Claremont Metrolink station and bus depot, thus making this a very accessible location for those that use public transit. For those that use Access Services (LA County) you can ride the Metrolink for free. With this move we will be increasing the size of our center which means we will be able to do more with more. Our computer lab will double in size; we will have 14 computers available for your use. We will be offering more training and educational classes in the upcoming months. We will have ongoing leadership classes, Living Well with a Disability classes and other independent living skills training available. We will also be opening up more peer counseling groups. The Board and I are really looking forward to the possibilities that will exist with this move. We know that change is hard for some but we will work through this and we guarantee that this is best for all!!! The disabled community is excited about the possibilities of self-driving cars. The freedom and flexibility that cars provide is often out of reach for many people with disabilities. Unfortunately, the California Department of Motor Vehicles has yet to release even a draft of the operational regulations or a timeline for when the rules will be complete. We are concerned the delay is slowing the pace toward transportation that promises to revolutionize our freedom of movement. While public transportation has improved since the passage 25 years ago of the Americans with Disabilities Act, it is not uncommon for wheelchair and walker users, as well as those using guide dogs, to be left waiting for multiple trains or buses because the lift is out of order or there simply is no more room. Paratransit systems are a significant improvement as an alternative to public transit, but they don’t usually offer on-demand service. Most systems require reservations 24 to 48 hours in advance, limit travel within a single county and force sharing rides with other passengers. Getting anyplace on time is iffy at best. While people with disabilities stand to benefit more than most from the self-driving car, we will all benefit from reductions in traffic congestion, accidents and air pollution. Self-driving cars also promise a new era of economic growth for California and will open up employment possibilities for people with disabilities, who find it difficult to travel to jobs. California is the cradle of this new technology. All the big global auto manufacturers have testing and development facilities in the Bay Area. Mercedes recently announced a self-driving car testing partnership with Contra Costa County. Tesla says some of its vehicles would have self-driving features this summer. And Google is already testing cars near its headquarters in Mountain View. People in this state will be among the first to benefit from this innovation. The first person Google invited to ride in its self-driving car outside its campus was a blind Californian, Steve Mahan. Of course, the technology will not transform our lives overnight. The first cars will almost certainly not be able to fit power wheelchairs, for example. But eventually this technology will be available to all. In 2012, California laid claim to global leadership on self-driving cars when the Assembly passed a law – Senate Bill 1298 – directing the DMV to write regulations to govern the testing and operation of autonomous vehicles by Jan. 1, 2015. However, it has failed to do so. As a result, it has left us to only imagine how our lives and our community could be transformed by cars that drive themselves. Teresa Favuzzi is executive director of Sacramento-based California Foundation for Independent Living Centers. While people with disabilities stand to benefit more than most from the self-driving car, we will all benefit from reductions in traffic congestion, accidents and air pollution. To begin, I would like to wish everyone a Happy New Years!!!! This is the time of year to look forward to what is on the horizon for this upcoming year and to look back at this past year and see what went well and what didn’t go so well. This in turn gives you the opportunity to grow from your past mistakes and turn them into successes in the future. Let’s start by looking back at this past year. It actually started Christmas Day, December 25, 2013 when SCIL’s Executive Director, Dr. Lee Nattress, passed away unexpectedly. This was a huge loss to the agency and he will be missed. As I said before you need to turn negatives into positives, and that is how my new role at SCIL began. The next day I was asked by the Board of Directors to step in and become the Interim Executive Director until other decisions could be made. During the next few months things began to change and it became apparent that the New Year was all about growth and enabling staff, volunteers and consumers to be the best that they could be. New programs were started and old associates returned. In March, the Board of Directors voted unanimously to make me Executive Director and gave me a one year contract. Thanks to Linda Burton and the County of San Bernardino we were able to open up a new computer lab at our Claremont office. This led to new classes that were being taught by our volunteers and a board member. This led to other classes being formed around this, for example, our braille class. In West Covina new peer counseling groups were started by our great volunteer base. We started the year with eight employees and ended the year with 13 employees. Three of these employees are part of a new partnership we have formed with the South Bay Workforce Employment Board. This is a program that places employees in businesses to help them develop new skills to help build their resume. We are very lucky to have Gina, Brenda and Kim as part of our team!!! SCIL lost Michelle DeSilva, our deaf services staff member, this year to the Department of Rehabilitation. Our loss became their gain and we are very happy for her. With that we brought Breanna Martinez on board to take her place. Breanna is developing her ASL skills and is working well with our consumers. SCIL also brought back Chelsea Pearson, who is now our Assistive Technology assistant and also takes care of all of our social media. Please check out our Facebook page as she normally is posting something daily. Susan Pearson, our finance officer, became an official employee, rather than an outside consultant. We are very grateful to have such wonderful additions to our staff and are very proud of the rest of our staff as well, which includes, Albert Gonzales, Angela Nwokike, Janice Ornelas, Patrick Tran, Jeanette Heitmann and Francesca Ponce De Leon. Without their dedication we couldn’t do what we are doing today. Thank you all!!!! One of my biggest personal goals was to make sure that all the reports that were required from the state and federal government were turned in on time if not early. I was also tasked to finish and turn in a Strategic Plan and a Corrective Action Plan that were past due. I am happy to report that I completed the tasks. All quarterly and yearly reports have been submitted early and the two Plans that were past due were finalized and turned into the state. We are also excited to start a new fee for service program that the City of Claremont helped us start up with one of their Community Block Grants. This is the Talking Fingers program. We purchased a new embosser and software programs that help us to emboss braille documents. Our goal is to first help the City of Claremont become more accessible to the disabled community by getting the restaurants and other businesses to have braille menus and documents available for their blind and low-vision customers. We have already had a couple of orders for brochures from one statewide organization and one local organization. This is just the beginning. Our Talking Fingers program will be kicked off this year with our volunteers going out to market this opportunity to the local businesses. We will also send out information through our connections at the local Chamber of Commerce. Many other things have been accomplished this year, our consumer numbers have raised, which means we are helping more people meet their goals of independence. We have had several presentations from outside sources that have been educational for our consumers, and are also conducting more outreach events to reach new potential consumers. 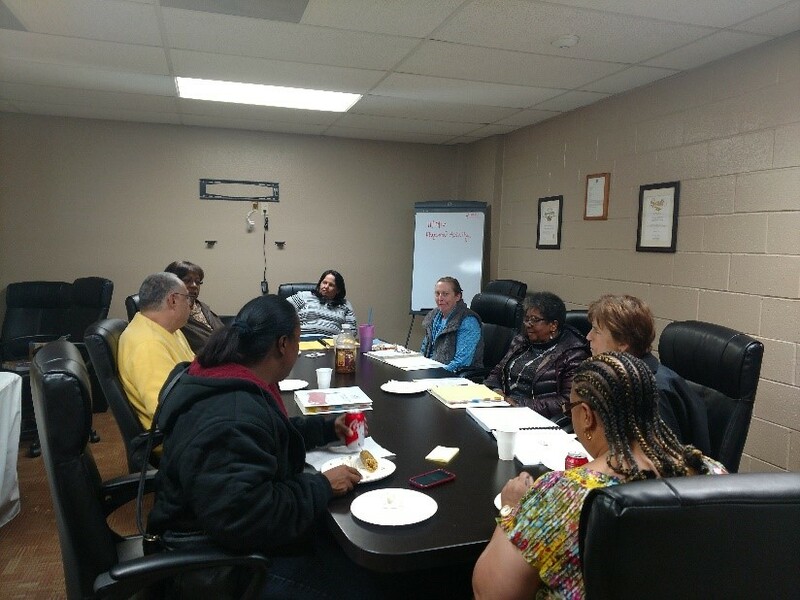 Our staff is getting trained in new facets of the Independent Living Movement to help our consumers meet their individual goals. This brings us to looking at this next year and what is in store for SCIL. With the signing of the Workforce Investment and Opportunity Act(WIOA) we now have a new federal mandate to assist in the transitioning of persons with disabilities from nursing homes into community living and to help prepare today’s youth to transition from high school to the workforce or higher education. SCIL has not received any extra funding to do this so it is time to get creative!!! Janice has been assigned to work on the Transition program and is looking for any opportunities to find funding to help these consumers with their moves. We will be getting more aggressive in outreach efforts, challenging each of our staff members to get out of the office and find the consumers who need us. Our volunteers will also assist in our outreach effort. We are also partnering with Parent Place next year to hold a parent support group for parents with kids up to 5 years old. Francesca is getting ready to start training to become the facilitator of this program. As we get opportunities or see needs to be met, we are willing to develop any new programs that will help to reach our goal of helping all persons with disabilities to become more independent. I am also getting us more active in our statewide organization, California Federation of Independent Living Centers. I have been voted in to become the Vice Chair of the organization for the next two years and look forward to representing SCIL and our consumers in that role. All in all I am looking forward to 2015 being a very good year for SCIL staff, volunteers, consumers and myself.